I am pleased to be able to share the wedding film of Nathalie & James that took place at lovely Catthorpe Manor in Leicestershire. The ceremony was held at St. Mary's Church in Broughton Astley. Stills photography on the day was by Martin Neeves. Thank you to Nathalie and James for inviting me to film the day, I hope you enjoy your film. Further DVD and Blu ray copies can be purchased below. 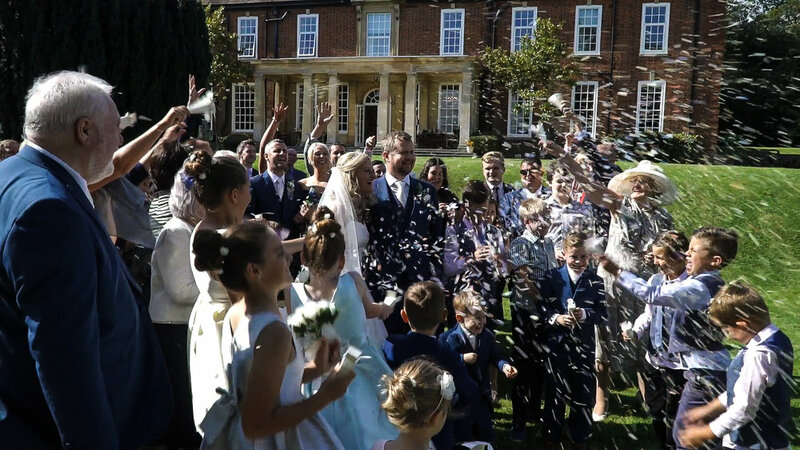 All discs include: Highlights Film, Ceremony, Speeches, First Dance, Best of the Rest and the Video Diary. Available on DVD, Blu-ray and as a Combination Luxury Blu-ray and DVD Box Set. Free Delivery.